(OMAHA, NEB. - 2012) - John Deere and Company held its 2012 North American Dealer meeting in Omaha this August, bringing with it more than 4,100 overnight visitors. The figures are now in and according to the Omaha Convention and Visitors Bureau, the economic impact of this meeting totals $7.3 million dollars, including more than half a million dollars generated in local taxes. "This illustrates the influx of cash one meeting can bring to our local economy," said Dana Markel, Executive Director of the Omaha Convention and Visitors Bureau. 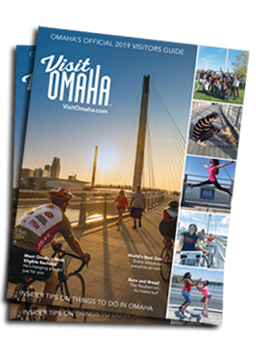 In partnership with Destination Marketing Association International, the Omaha CVB has developed a new system of calculating the economic impact of meetings in Omaha, and their value to the city and its residents. A trained researcher is now on staff to determine the impact and provide details including the amount of money spent by visiting participants, meeting planners and exhibitors, along with the tax revenues generated by the meeting. "We now have a new way to accurately calculate the economic significance of meetings and pass this important information along to the public," added Markel. The Omaha CVB will calculate the impact for all meetings booked through its office, and will provide the service to other entities interested in determining the value of meetings at their facilities.